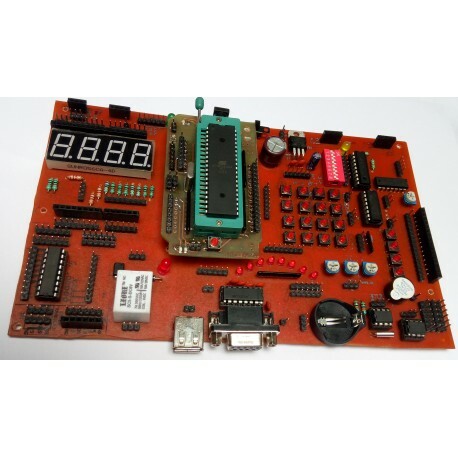 High quality Atmega microcontroller development board. The DIP40 locking device, easy to remove the ATMEGA microcontroller for reuse. 1 * 4 independent keys. The MAX232 chip RS232 communication. 16X2 LCD interface (character display). All IO ports pin have extraction and clearly marked. On Board Power supply 3.3V,5V 12V,GND. On board ISP Programmer pinouts. 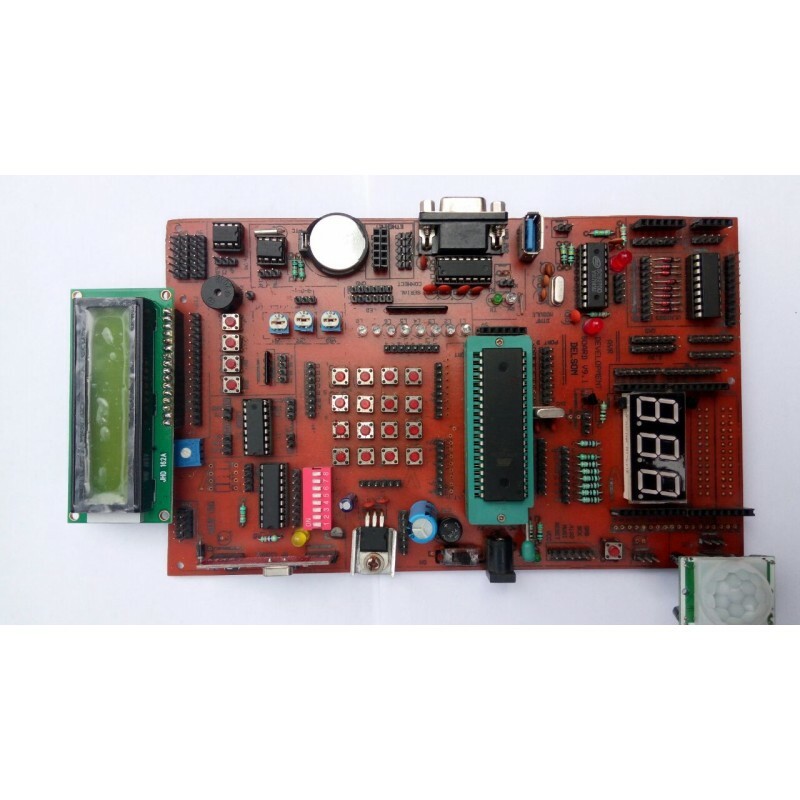 ULN 2803 To drive Stepper Motor& Relays. Test led for Tx, Rx. All IO’s are connected by brug stripps for easy connection.